Unbound Merino Wool T-Shirts are super soft, comfortable, and can go a while without a wash. We have found they do require a little extra care, however. Planning an excursion but feel as though you’re overpacking? Try the Unbound Merino Wool T-Shirt. One of these can be worn for weeks on end. Merino wool is the finest and softest wool in the world. Usually reserved for high-performance activewear, Unbound has taken the fabric and created a basic but stylish t-shirt for everyday wear that still holds all the benefits Merino Wool has to offer. Merino wool is a miracle fabric. It is naturally antibacterial and odor resistant. According to Unbound, you can wear their shirts for weeks without washing them – and we’ve certainly found this to be true. They’re inherently quick-drying and anti-wrinkle. While traveling in hotter climates, you won’t have to worry about getting sweaty and uncomfortable. The fabric wicks away moisture and allows it to evaporate into the air. Merino wool regulates your temperature the same way it does for sheep. It will breathe in hot weather and insulate you from the cold. 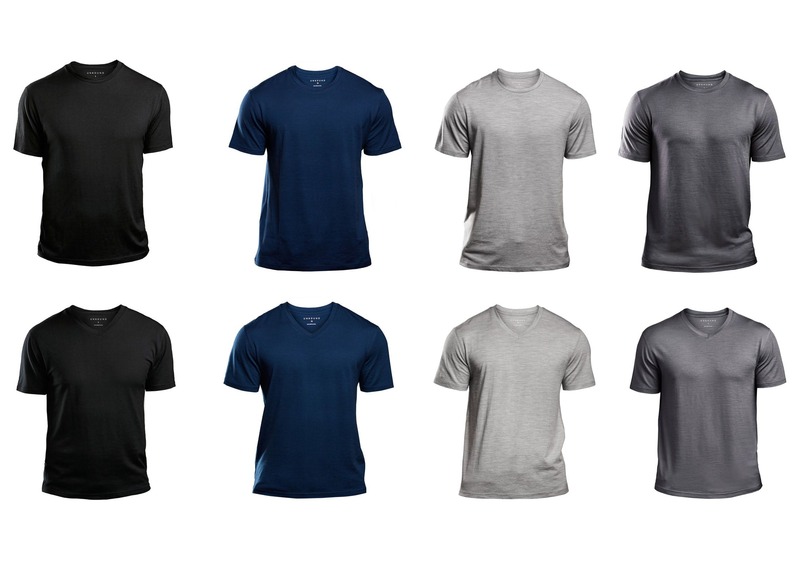 At the time of writing this review, the crew and v-neck shirts come in Heather Grey, Navy Blue, Black, and Grey. We’ve found these shirts to have pretty great elasticity allowing them to stretch with wear but always returning to its original shape. After a wash, you may notice that the crew necks become a little tighter, but after a couple wears, they go back to their original form. You won’t have this problem, with the V-Neck version though. 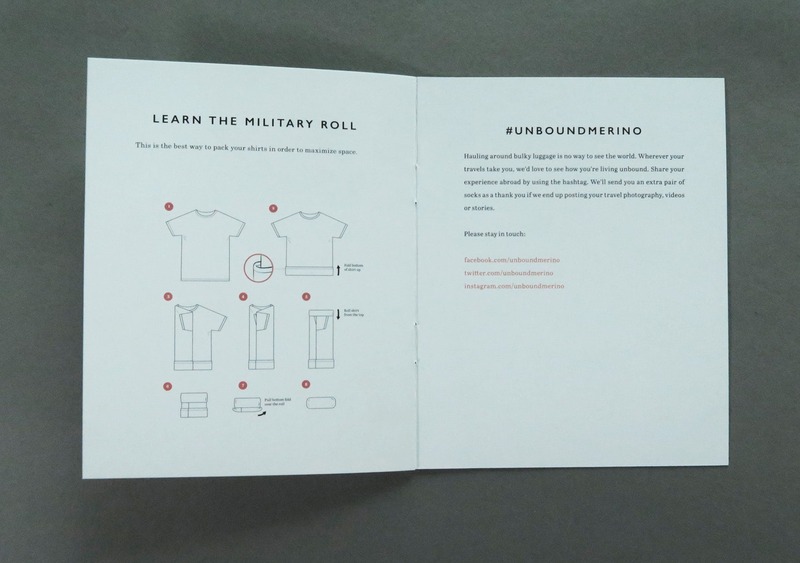 Every Unbound shirt comes with a little booklet with helpful tips on how to take care of your wool shirt so it will last. They suggest hanging it in a well-ventilated area when it’s not being worn. Unbound also suggests refraining from using deodorants or antiperspirants with alcohol in them as this can stain. Don’t feel like you have to change your life for a shirt though—just note you may run into quicker wear & tear. This shirt needs to be machine or hand-washed in cold water. And for the love of all things holy, do not put it in the dryer unless you want to give it to your small niece or nephew. We thoroughly tested the grey Crew Neck. During the first wear, it was a little bit itchy. Like, an infinitesimal bit itchy. Almost not noticeable. Not even sure why we’re mentioning it. The ends of the sleeves are fitted which is a great look, even more so if you’re a fan of lifting heavy objects and putting them back down. We’ve found the sizing is slightly off, with the small being too small and the medium a little too big. 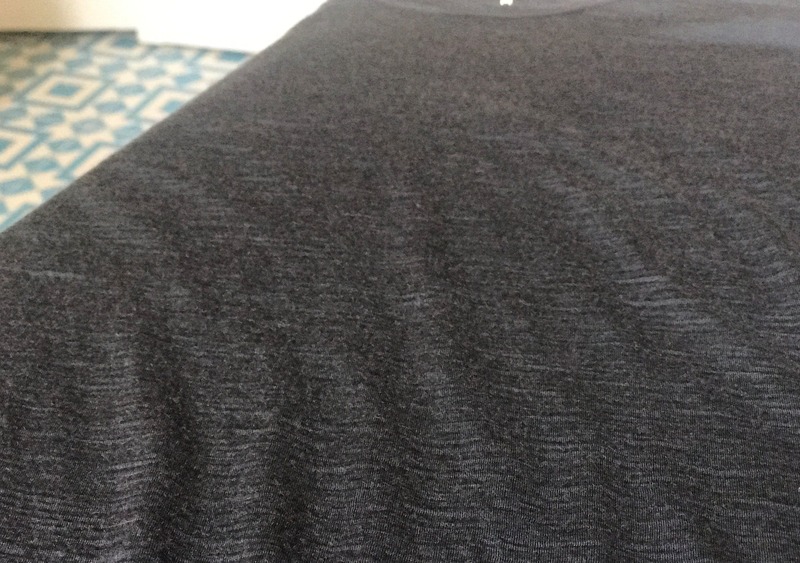 Another issue we’ve come across is seeing a hole form in the shirt after only 15 wears. Maybe this was a strike of bad luck, but regardless, we don’t view it as a great omen that something like this developed so quickly. Coming in at $65, the price is great for 100% Merino. 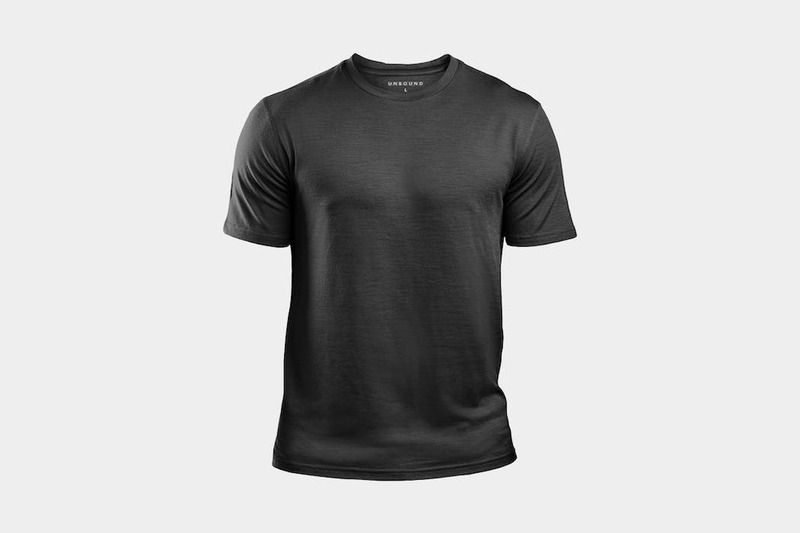 When you compare this to the Outlier Ultrafine Merino T-Shirt, it’s much cheaper, but not quite as high in quality, durability, or fit. 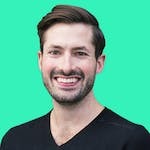 If we compare to something on the lower-cost end, like the Woolly Ultralight Shirts, we haven’t noticed a ton of difference. Looking good out of the package—noticing this shirt is a little fuzzier than other Merino Wool shirts on the market. It’s been worn 15 times and a hole has developed in the fabric. 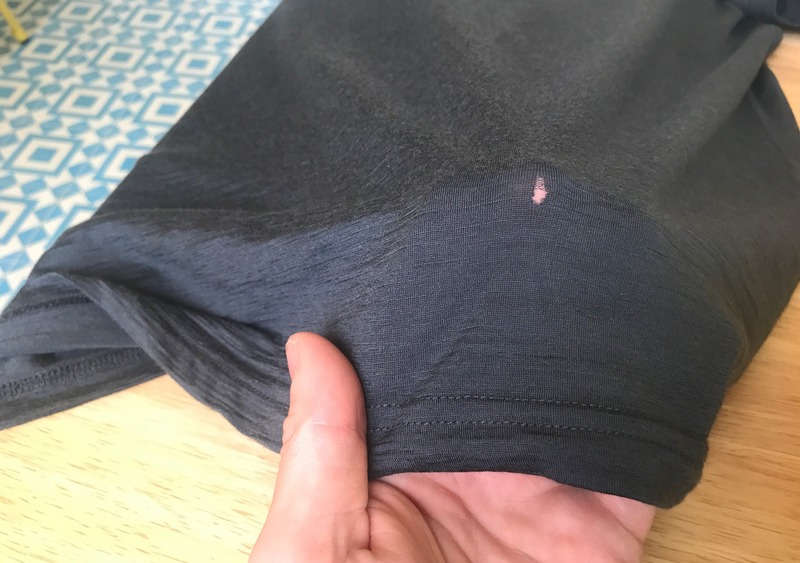 There was a weird fold that wouldn’t go away, but it straightened out after washing – although after washing, the crew collar has become pretty tight. 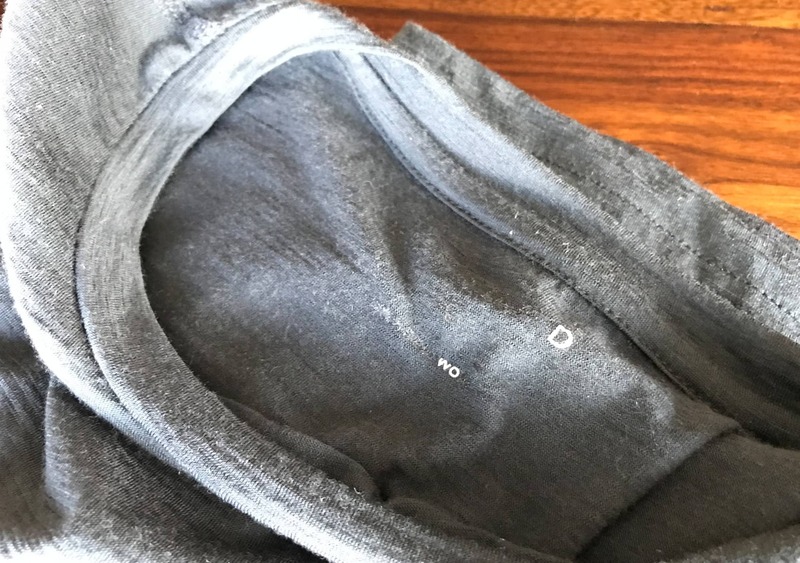 The tag on this has begun to wear off after a couple washes, making it more of a D-Shirt than a T-Shirt (just look at the tag—you’ll see what we mean). Soft wool shirt that you’re not going to need to wash often. Nice packaging with detailed instructions. Needs some extra care - the collar on the crew neck tee can become tight, and the shirt develops pilling more than other merino wool shirts we’ve tested. The Unbound Merino Wool t-shirt is nice and soft and can withstand many uses in between washes. However, we feel the quality didn’t quite live up to its price point. At $65 a pop, we’d expect less wear and tear so soon. But maybe you’ll have better luck.